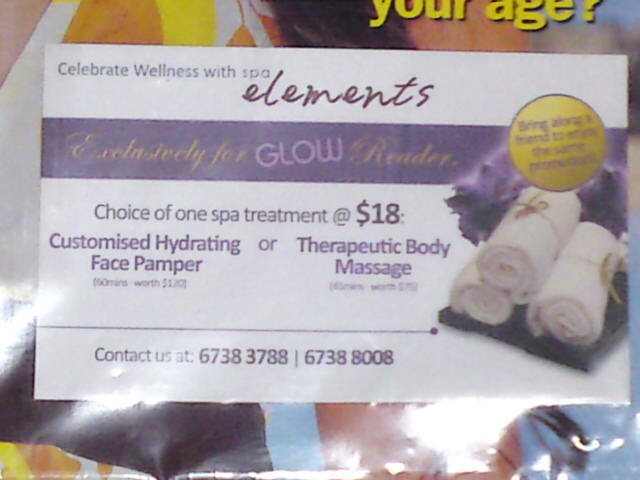 My favourite magazine from Watsons is out again. Like every other issue, it comes with a gift that makes the magazine even more worth buying. And this time, its a trial bottle of Dove Intense Repair shampoo and conditioner. Hooray!!! 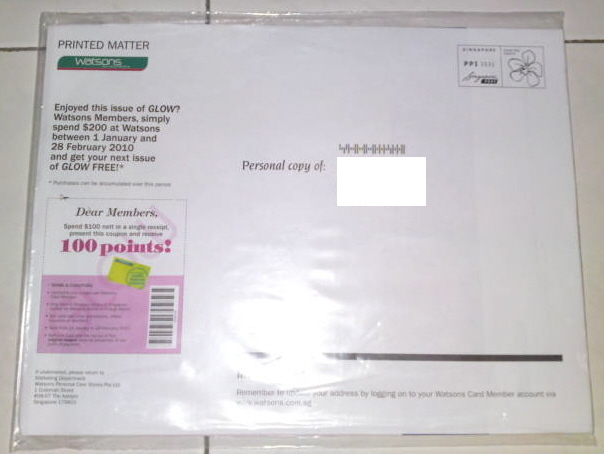 The latest issue of Glow magazine is finally out. 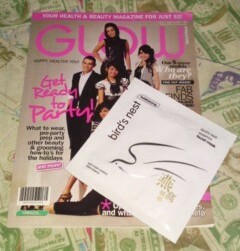 Each issue purchase comes with a free Watsons bird nest facial mask worth S$3.95. Am so going to get some for my friends too. 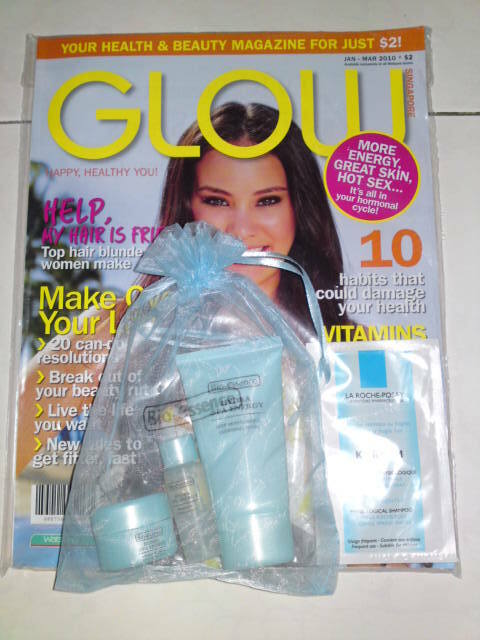 Was very surprise to received a complimentary issue of glow magazine from watsons. Though I have just grabbed a copy myself from their store recently. 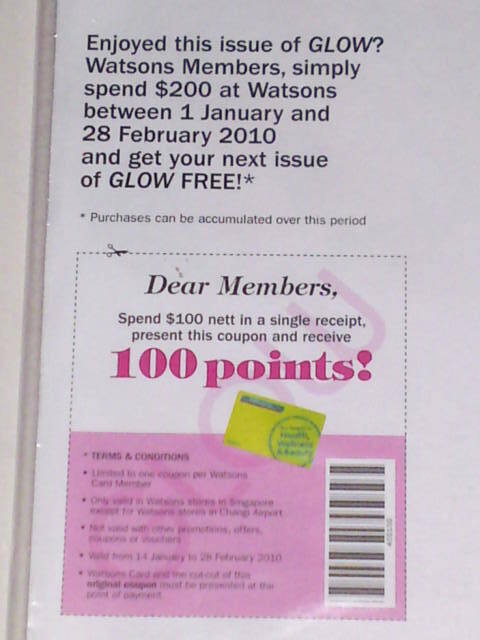 Shall go down to make more purchase soon, with the voucher from the magazine. Latest Issue Of GLOW Is Out !!!!! Am so glad that I’ve decided to pop by Watsons before heading home after work. 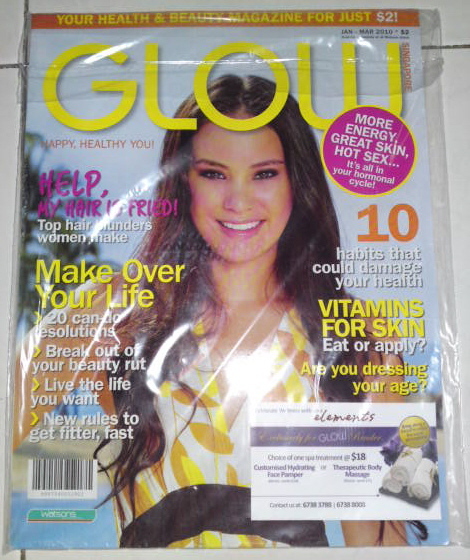 The latest issue of GLOW magazine from Watsons is out.